Look! Up in the Sky! It’s a Man! In a Raincoat! 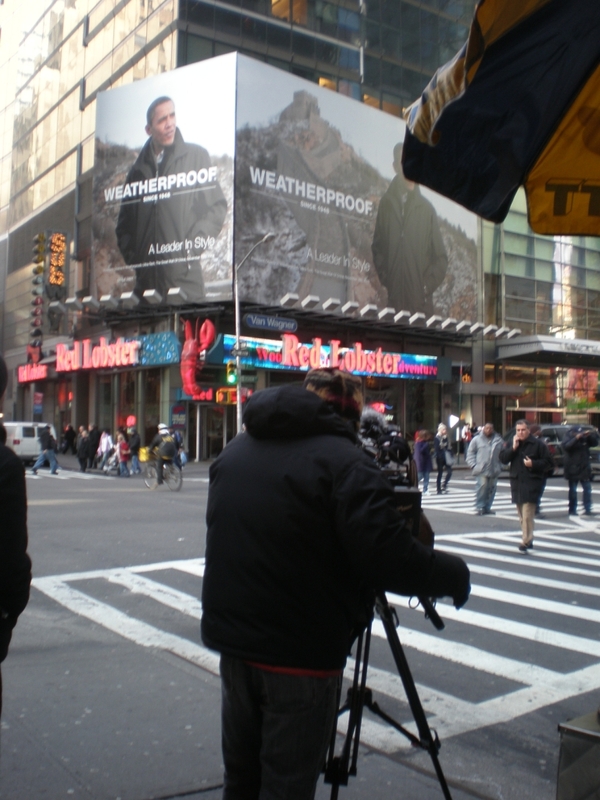 Both the media and Times Square were aflutter recently over a photograph of President Obama used without permission on a huge two-sided billboard in midtown Manhattan to advertise men’s coats. 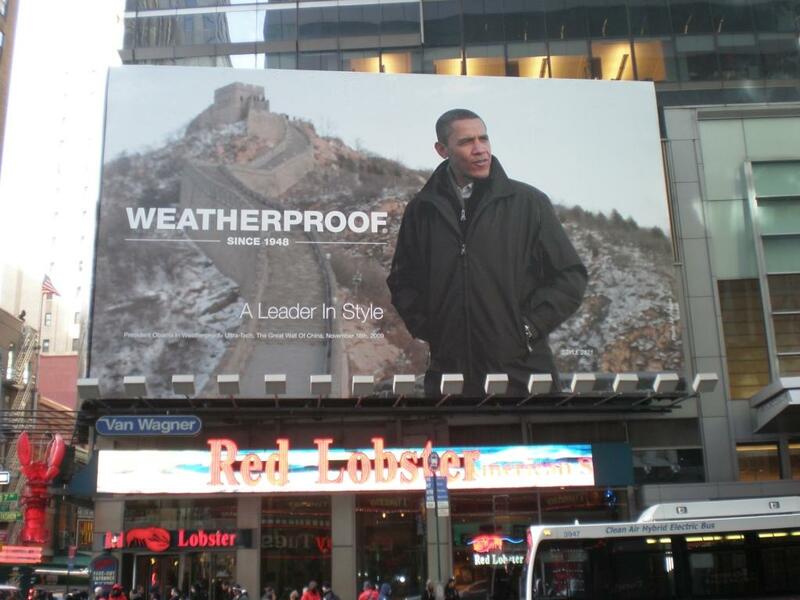 The photo, licensed from the Associated Press (AP) by the Weatherproof Garment Company, shows the President in front of the Great Wall on his recent trip to China. 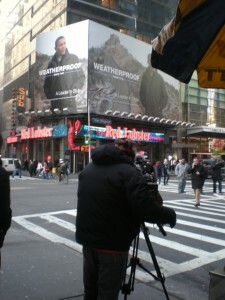 When Weatherproof’s president first saw the news photograph of America’s President wearing what he believed to be one of his products, he secured a hi-res version of the image and, aided by a magnifying glass, saw his company’s logo on the coat’s zipper pull. 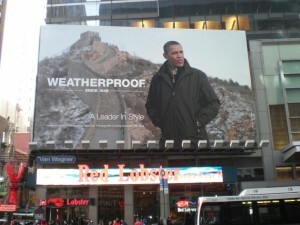 It didn’t take long before the an vinyl print of the image, a couple of stories tall, appeared with the tag-line “A Leader in Style” to promote what the company now calls “The Obama Jacket” on its website. 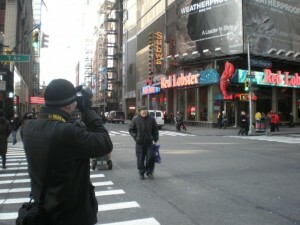 The glamorous billboard certainly took New York pedestrians and the White House by surprise. The ad makes it seem as if President Obama is endorsing a product. What happens next? As reported in the New York Times it’s expected that The White House will ask the cheeky manufacturer to take the billboard down. The AP, disclaiming responsibility for the image’s use, says licensing agreements require users to get appropriate clearances whenever necessary. But since the President is a public figure, some intellectual property lawyers are saying the issue of permission is murky. For the moment, the picture’s triggering double-takes and causing a fuss. 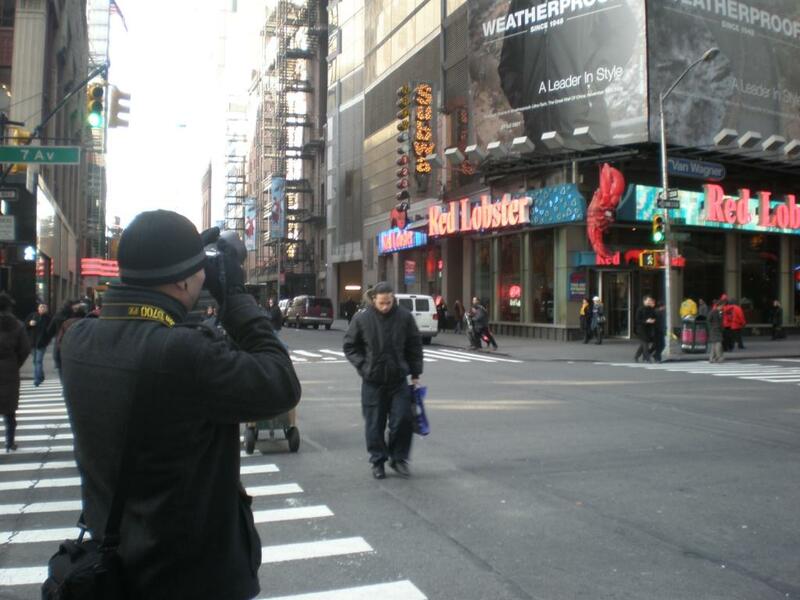 The street is full of people with still, cellphone, and video cameras taking pictures of a mundane picture that’s quickly becoming infamous. To learn more about the history of presidential photo-ops, read Kiku Adatto’s recent piece for click!. And while you’re at it, check out Amy Henderson’s click! piece about celebrity endorsements, glamour photography, and desire.